The tiniest superhero duo hits the big screen. You can do anything. You're the world's greatest grandma. Luma was excited to return to this franchise to work again with VFX Supervisor, Stephane Ceretti, and the Marvel Studios crew. 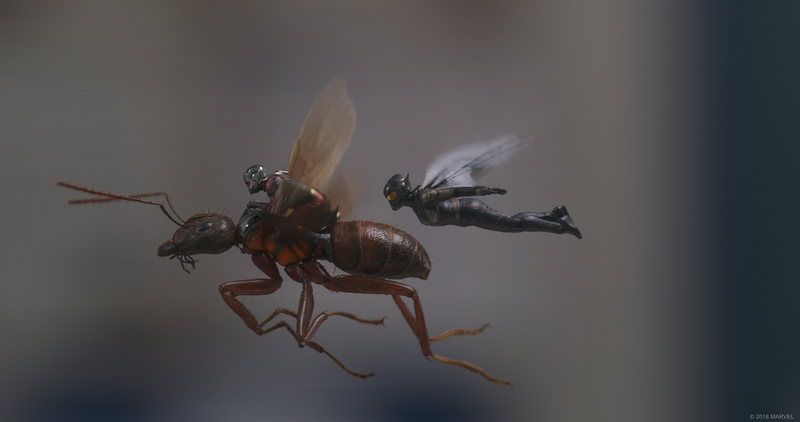 The Luma team replicated the missile launch from the original shots in Ant-Man. For the opening flashback sequence, it was vital that the storyline and visuals continued flawlessly from the first film. The crew researched a Russian missile silo and focused on minute details of the asset to achieve photo-realism in extreme close-ups. Additionally, the artists developed volumetric for the launch plume, smoke trail and cloud banks. The missile, Hank, and Janet assets from the original film were ingested to match the looks exactly, intercutting poses and identical actions across the edits. To tie it all together, Luma created a particle pass for the ice crystals and wispy volumetrics as they pass through the clouds. 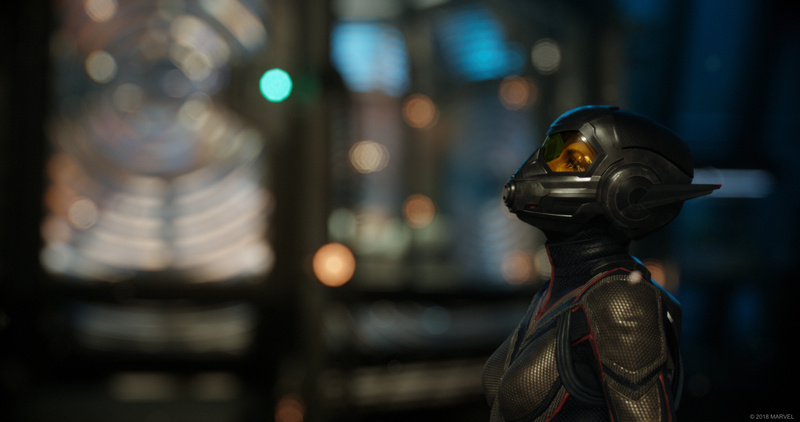 Luma paired sequencing techniques and full CG builds to create the scene where Ant-Man and The Wasp infiltrate Ghost's hideout. The sequence begins as both characters shrink to travel through the microscopic holes in brick walls. Luma created an entire CG environment to create the photo-real flying sequences. 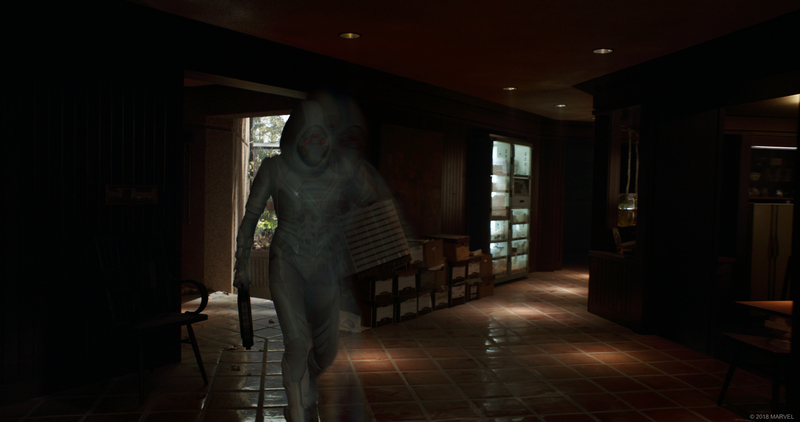 The team used blue screen-full CG replacements and 3-D face replacements to bring the characters to life, and the in-house Luma studio was also used to shoot mocap physicality sequences. 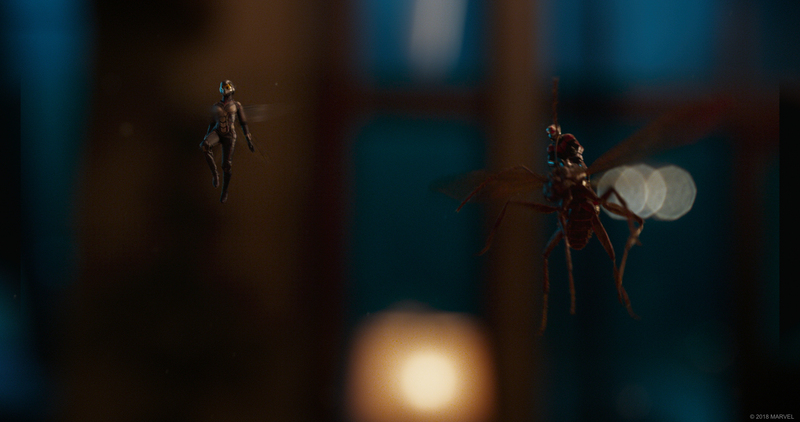 While Ant-Man and The Wasp are hiding at Cassie's school, Ant-Man suddenly has an issue with controlling his suit. 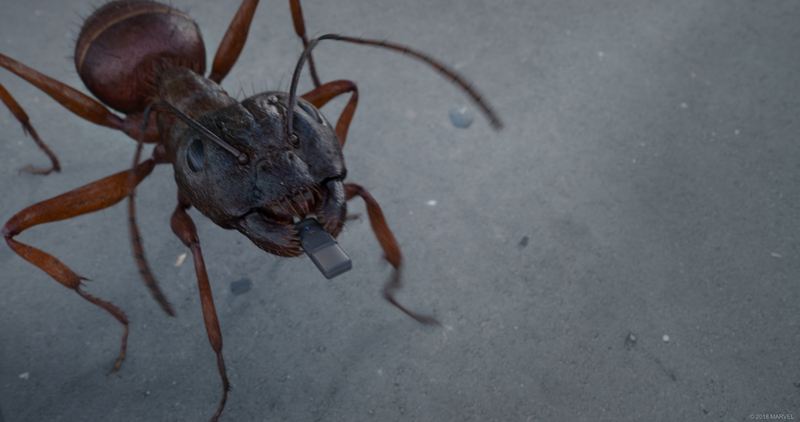 The idea behind the sequence was to use an old technique called forced perspective, aided by modern technology, to achieve the visual gag of the giant-sized Ant-Man literally bursting at the seams of a small broom closet. To accomplish this, all the plates were designed to be shot independently and then assembled in the compositing process. For the quantum tunnel sequence, Luma digitally recreated an entire environment. The look was designed from heavily treated 3D passes and plates, leaning heavily on the composite look development lead to create the look in step with the FX artists. Stephane Ceretti wanted us to explore the idea of an effect that would feel purely optical and use distortion instead of energy, all while maintaining a feeling of force and power.